The fight of the century is FINALLY happening! We have been waiting for this for the longest time, us Filipinos! You guys don't know how excited we were when we heard the announcement that the battle is finally happening! We are also nervous, of course. But in an interview, Manny Pacquiao told the Filipinos not to worry about anything because we aren't the ones going to be in the ring and go against Mayweather but him. He told us to just sit back, pray to God and trust him that he'll get through it. But we are still nervous. Nervous and excited. 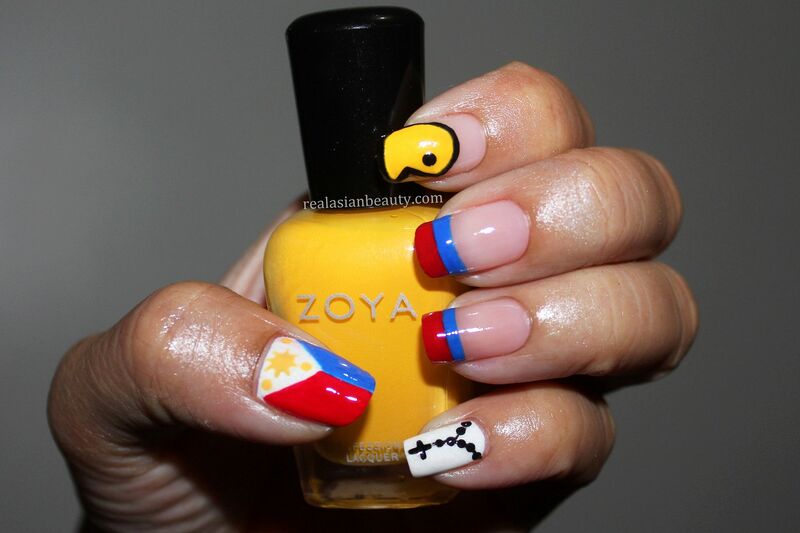 To show my support to Manny Pacquiao, I decided to do a simple nail art using the signs, symbols and logos that are often associated to him. I decided to draw a Pac-Man on my index finger since people call Pacquiao as Pacman. I didn't know Manny converted to Christian from Catholic so the rosary is now irrelevant. But for those like me that still don't know, the rosary would still be meaningful. 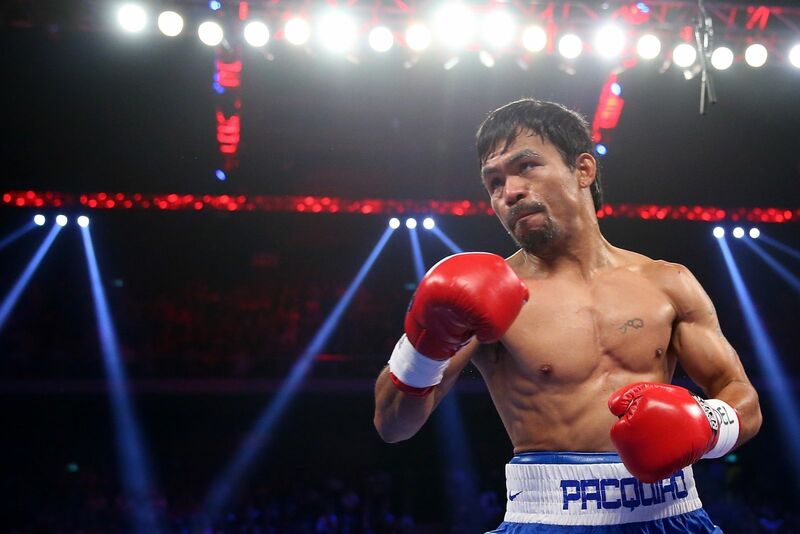 Manny Pacquiao used to pray first before a fight. He'd always hold a rosary with him so I thought of drawing one on my pinky. The Philippine flag should also be included since he carries our flag and gives us pride each time he fights.. and wins! 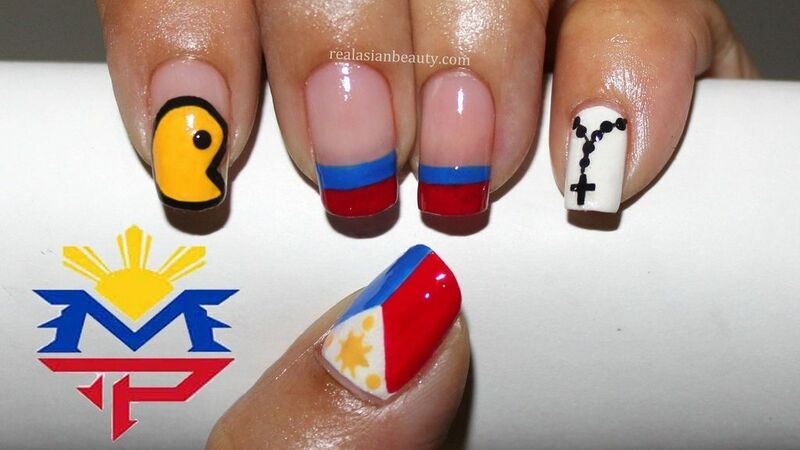 For the rest of the nails, I decided to just paint the tip in blue and in red to signify the colors of the Philippine flag. I have always admired Manny Pacquiao. Many people call him arrogant or "mayabang". I haven't met him in real life yet but I am sure that he is not. He is known here in our country to have helped a lot of people. He always looks back to where he came from and never forgets to help the people who helped him when he was still little. He has a LOT now but still keeps his feet on the ground. He seems like a nice person and is always genuinely happy to meet new people, especially sign stuff and shake hands with his fans. What a really nice person to look up to. His sport may be violent but he surely has a heart of gold. Truly a pride for us Filipinos! Good luck, Manny! Win or Lose, you always, always make us proud! The fact that you are and have always been willing to face Mayweather is already courageous. If God still grants you the belt and chooses to make you us the winner, then that would be just our consolation. You are always an inspiration and a pride to many Filipinos! Tomorrow, the WHOLE Philippines will stop just to witness Pacquiao's fight.